This book concentrates on ethnic minorities such as former slaves, outcastes and indigenous peoples dispossessed of homeland. These groups are universally without power, usually undereducated, and always victims of their fellow citizens. The book asks why these socially excluded groups remain at the bottom of their social hierarchies as the poorest of the poor, even in nations long committed to equal opportunity. Their slow progress has four causes: obviously discrimination and poor education, but also low economic growth and cultural heritage. Low growth limits revenues for schools as well as new job opportunities, and perpetuates traditional exploitative social relations and customs. Traumatic histories of enslavement or conquest may induce behaviours by victims that reduce upward mobility. Together these four interacting variables suggest a "mobility model" that explains the impasse. The book develops and applies this model to interpret and compare the mobility history of five stigmatized, low-status ethnic groups: U.S. African Americans, Japan’s Burakumin, Afro-Cubans, India’s Dalits (Untouchables) and Bolivia’s Highland Indians. The book also compares actions by governments and the groups themselves to overcome barriers to progress, including job quotas, boycotts, mass protests, and the unique kangaroo courts of Japan’s Burakumim. 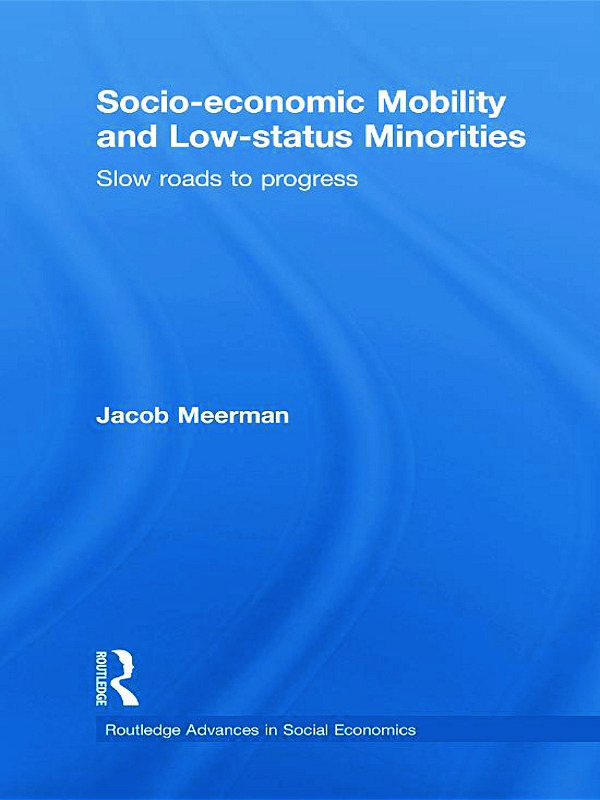 Meerman’s unusual cross-disciplinary approach and fascinating comparative studies of success and failure will appeal to scholars, development practitioners, and advocates working on issues of discrimination, poverty, equity and inequality in an ethnic context. Part 1: Theory, 1. Introduction, 2. Stigmatized, Ranked, Ethnic, Low Status, Involuntary Minorities, 3. A Mobility Model for Stigmatized, Ranked, Ethnic, Low Status, Involuntary Minorities, Part 2: Case Studies, 4. The Dalits and Human Rights: The Indian Dilemma, 5. The Mobility of Japan's Bukakumin, 6. The Cuban Case: Can Stateways Change Folkways?, 7. Bolivia's Highland Indians: Oppressed by not Conquered, 8. US African Americans, Part 3: Comparisons, 9. Comparisons and Epilogue. Jacob Meerman, a Chicago Ph.D. in economics, is a Scholar in Residence at American University, Washington D.C. He has held several academic positions, most recently as visiting professor at the National University of Malaysia. During his quarter century with the World Bank, he carried out a pioneering study of who benefits from government expenditure and has extensive experience in developing projects including the main trunk highway in Bolivia, irrigation in Madagascar, and export crops in Rwanda.